Mount Salak is a type A stratovolcano located between Bogor Regency and Sukabumi Regency, West Java. This mountain is the oldest mountain in Indonesia because it has several peaks. 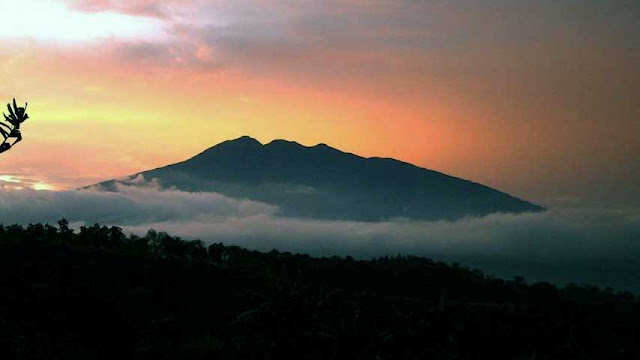 The highest peak is called Salak I which reaches a height of 2,211 meters above sea level. The second peak is Salak II with an altitude of 2,180 m asl and the last one is called the summit of Sumbul Peak, which is 1,926 meters above sea level. Because this mountain is classified as active, the crater eruption is still clearly visible at the top. The largest crater is called Kawah Ratu and the others include the Cikuluwung Putri Crater and the Hirup Crater which is a child from the Queen's crater. Based on his history, there has been a series of eruption events, around 1668-1699, 1780, 1902-1903, and 1935 and the last in 1938 in the form of phreatic eruptions in the Cikuluwung Putri crater. For the surrounding community, Mount Salak is famous for being very haunted by many strange unreasonable events experienced by local residents when entering the Mount Salak area. No exception the climbers who saw the appearance of strange creatures or strange events that they did not expect sometimes climbers also easily lost and disappeared did not know the jungle. Not only that, this mountain is famous for the rise of accidents involving land transportation and air transportation, most of the causes of the accident are still mysterious. That said, this phenomenon is connected by the activeness of supernatural beings in this region. They believe that many spirits guarding Mount Salak are looking for sacrifices to make the souls of the victims one of the invisible kingdoms. Because it is famous for its mystical scent, around the mountain slopes it is often seen that people are conducting rituals, both rituals that are positive and negative. They ask for help or guidance to spirits to launch all matters of life, such as dating, career, financial, and longevity. The most phenomenal ritual in this place is the ritual of marrying a genie initiated by the caretaker of Mount Salak named Abah Anom Jaya. This ritual is often followed by people who are pressed and have a low economic level. By polygamy with genies, they hope that their lives will be more prosperous and boost their business or business. Not just anyone can marry Jin. The main requirement is that the person must have a job or business because according to Abah Jin cannot bring money immediately but through an intermediary. The time and place of the ritual are not arbitrary, the ritual must follow certain days in the Javanese calendar, namely Wednesday Pon, Thursday Wage, until Friday Kliwon. Applicants must also bring offerings in the form of flowers, perfume, green coconut, and grilled chicken. Up to now, 130 people have been married in a mysterious way by Abah and all have married. Mount Salak is also known for the many sacred temples scattered in hundreds of points. This place is commonly used for meditating for kings and their followers, such as cemetry from king Pakuan Padjajaran, Prabu Sri Baduga Maharaja who reached 91 points. As well as other recitations of Hindu hermits who purify themselves on Mount Salak. There are also 40 old tombs that are hundreds of years old, said to have come from the Hindu religious stakeholders who died. Therefore anyone who passes it must maintain courtesy so that there is no disaster. In addition, the most famous myth in Mount Salak is the Mbah Salak tomb at the top of Salak I. On the gravestone inscribed with Raden KH Moh Hasan bin RKH Bahyudin Braja Kusumah (Mbah Salak). According to residents around him, he is the descendant of the guardian of Sheikh Sunan Rochmat Eyang Prabu Kian Santang. Son of Sri Baduga Maharaja, King Siliwangi who once ruled West Java. It is estimated that the tomb has existed since 1930. Moh Hasan is believed to be the most influential cleric who succeeded in spreading Islam in West Java. This tomb is considered sacred as mystical as Mbah Priok's tomb at Tanjung Priok, and other great scholars. It was so mystical that no one dared to touch or damage the tomb of Mbah Salak. But all of this was reversed with the incident on May 10, 2012. Mbah Salak's tomb was destroyed by a group of people. The incident occurred when the SAR team was evacuating the wreckage of the Sukhoi Superjet 100 plane which crashed on May 9, 2012. 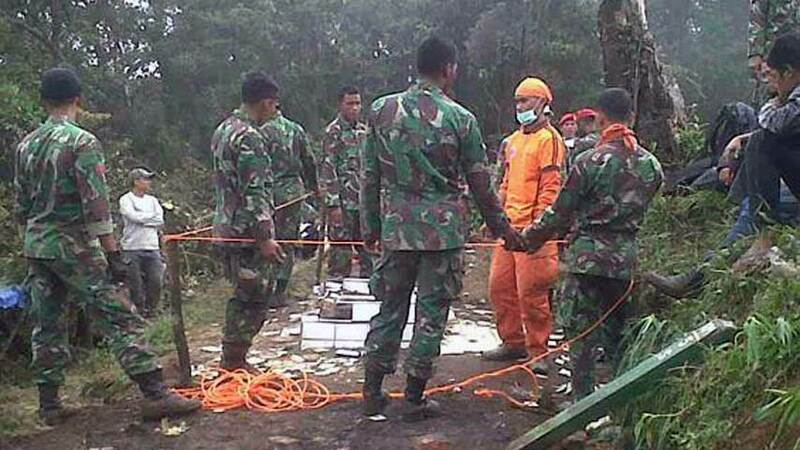 At that time the Puma helicopter carrying supplies from the SAR team came and dropped some logistics to the gathering site of the SAR team precisely at the top of Salak I. Initially everything went smoothly , but when the helicopter threw dozens of coconut, it turned out that there were many coconuts that hit Mbah Salak's grave. Many ceramics were broken, the structure of the tomb became shapeless. This makes the evacuation team in the area feel some mystical auras. Not long after a strange incident ensued, at night the temperature at the peak immediately turned very cold. Heavy rains flushed the evacuation area, which could hamper the evacuation process. Whether it's coincidence or because of the damage to the tomb everything really happened. (October 10, 2002) The Trike PKS 098 engine crashed in Lido, Bogor. 1 victim died. (October 29, 2003) Sikorsky S-58T helicopter Twinpac Air Force crashed in Kemang Subdistrict, Bogor Regency, 7 victims died. (April 15, 2004) The Red Baron GT 500 Paragliding aircraft belonging to Lido Aero Sport, crashed in Wates Jaya Village, Cijeruk District, Bogor Regency. 3 people died. (June 20, 2004) Skywagon Cessna 185 aircraft, crashed in Lake Lido, Cijeruk, Bogor. 5 people died. (June 2008) Casa 212 Aircraft Air Force crashed on Mount Salak at an altitude of 4,200 feet above sea level. 18 people died. (April 30, 2009) Donner's training aircraft owned by the Curug Flight Training Center crashed in Cibunar Village, Tenjo Village, Tenjo District, Bogor Regency. 3 people died. (April 9, 2012) Sukhoi Superjet 100 aircraft crashed on Mount Salak. The number of passengers 46 people lost their lives. The strangeness that occurred on Mount Salak, was believed to be caused by the watchman of Mount Salak. Residents believe there is a mysterious magnetic field that comes from magical activities that cause the plane to crash even the birds that pass can fall and die instantly. 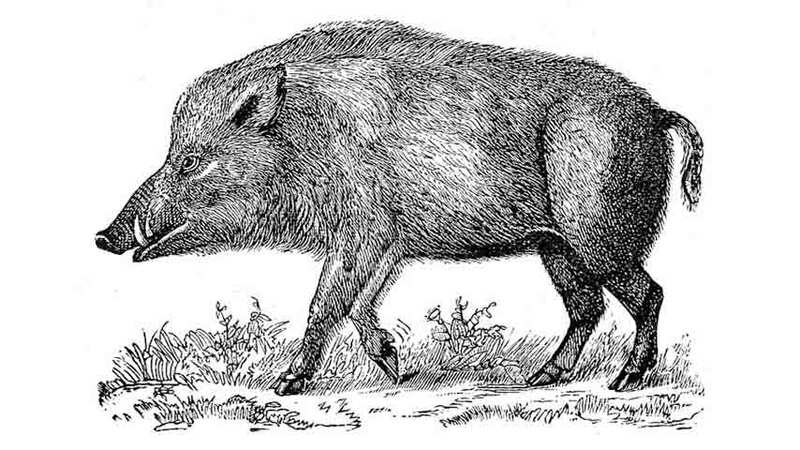 From the stories that developed in the surrounding community, Mount Salak contained a strange wild boar-like creature that was very large about the size of a dam truck and also a creature in the form of a golden half horse snake that often wandered around the forest. They are trusted as forest guards from hunting and illegal logging. Other oddities were also experienced by climbers. The height of Mount Salak is not higher than the height of Mount Pangrango and Gunung Gede, but, believe it or not, the trekking trip of Mount Salak takes longer than the mountain. If Mount Gede and Pangrango are climbed in just 6 hours, Mount Salak takes even more than 7 hours. Why is that, no one knows. That said, at each peak had an invisible guard, Puncak IV awaited by mysterious grandmothers who appeared every 9 to 12 noon. Peak III was awaited by Eyang Sarean. Salak II Peak is controlled by Sri Baduga Queen of Hajj. And the peak of Salak I was guarded by KH Moh Hasan or Mbah Salak. According to the Juru Kunci, Gunung is indeed vulnerable, anyone who wants to explore safely must first get permission from Mbah Salak. Therefore, be careful and maintain good manners when entering this mountain area.